It's spring. Earlier this week we talked about rain gear because, well April. Now what do April showers bring? That's right, flowers. 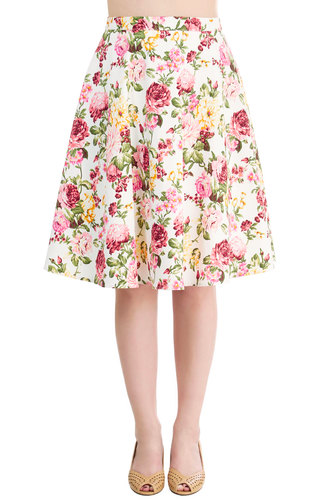 It is floral skirt season, and not just any skirt, the super feminine circle skirt. How great is this floral? I love the size of the print and the color. One size fits all is fine by me with this elastic waistband. Retro spring anyone? 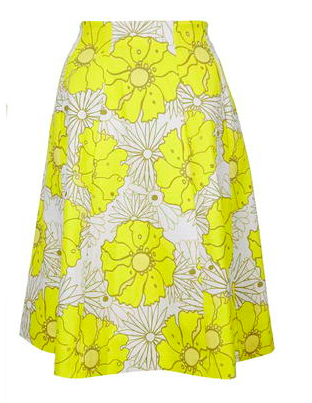 How fantastic is this skirt?! 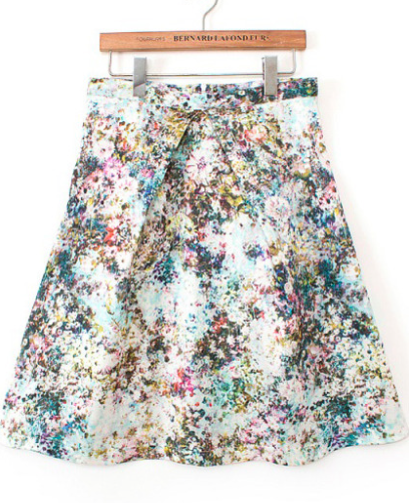 The print on this skirt could be in a frame. It's got soft movement and a beautiful shape. A floral skirt will be a dime a dozen this spring, that's why I'm looking for feminine styles with a shape that makes me want to twirl.